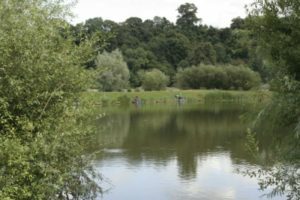 A Slow start for the majority of anglers. Fish caught on both pellet waggler, bomb & pellet with large carp caught later in the match down the edges. Winner on the day was Dan Hull (Dynamite Baits) who drew peg 66. 2nd on the day was Neil McKinnon (Preston Innovations) who drew peg 16. Neil caught his fish on the method and later down his edge. 3rd placed was Mick Bull (Frenzee) landed 129-11-0 from peg 82. All of Mick’s fish were caught from down his edge.